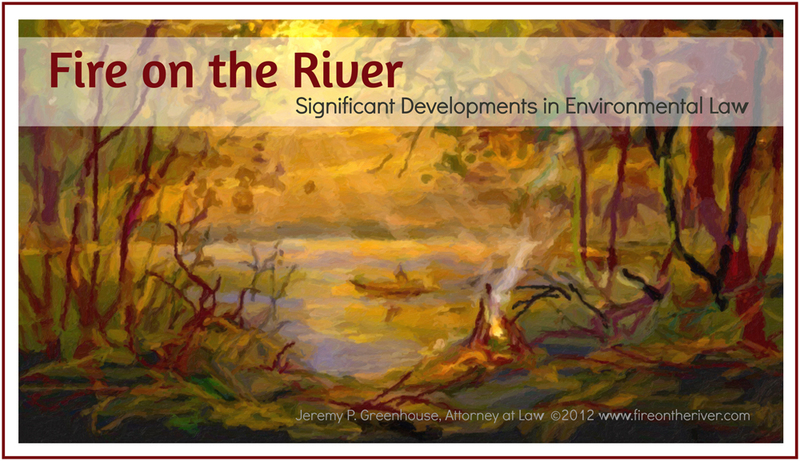 U.S. District Court Applies “NEPA Exception,” Waives Bond Requirement for Preliminary Injunction | Fire on the River! On June 24, 2015, the United States District Court for the District of Minnesota endorsed the “NEPA Exception” in holding that a two-county diversion board did not need to post a bond for a preliminary injunction. Richland/Wilkin Joint Powers Authority v. U.S. Army Corps of Engineers, No. 13-2262 (D. Minn., June 24, 2015). 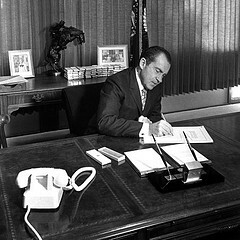 President Nixon signs the National Environmental Policy Act (NEPA) on January 1, 1970. (Source: USDA on Flicker, photo 20120106-OC-AMW-0082). The diversion board brought an action including a claim under the National Environmental Policy Act (NEPA) that challenged a plan by the U.S. Army Corps of Engineers and a local government sponsor to build a diversion structure to protect the Fargo-Moorhead metro area from floodwaters.Many courts ruling on cases asserting claims under NEPA have not required plaintiffs seeking preliminary injunctions to post a bond. These courts have cited the important public interest in the enforcement of NEPA and the deterrence to litigation that would result if substantial bonds were required.